Philippe Laffont is the founder of Coatue Management, a technology-focused hedge fund based in New York. Laffont has a Computer Science degree from MIT. He once worked for Julian Robertson at Tiger Management before it closed. Later in 1999, he launched Coatue Management. The company currently has approximately $3.5 billion in assets under management. During the past year, Coatue returned about 17%, while the market barely moved. That’s one of the reasons why investors should pay attention to Laffont’s top stock picks. Recently, Coatue released its latest holdings in a 13F filing to SEC. Let’s take a closer look at the most bullish bets of the company and decide whether investors should also add these stocks to their own portfolios. The largest two positions in Coatue’s latest 13F portfolios are Apple Inc (AAPL) and Google Inc (GOOG). Coatue had over $500 million invested in both stocks at the end of last year. We like both stocks because they are attractively priced. GOOG’s forward P/E ratio is 17 and AAPL’s is about 11. Both companies’ earnings are expected to grow at about 20% per year. We think it is a great deal to purchase stocks with such high grow potential at relatively low P/E ratios. We have discussed these two stocks in detail in our previous article about Roberto Mignone’s Bridger Management. Mignone was bullish about both stocks as well. Qualcomm Inc (QCOM) was the third largest position in Coatue’s portfolio. During the fourth quarter, Coatue boosted its QCOM stakes by about 13%. As of December 31, 2011, the company had $248 million invested in QCOM. QCOM was very popular among hedge funds tracked by us. At the end of last year, there were 64 hedge funds with QCOM positions. For instance, Andreas Halvorsen was the most bullish hedge fund manager about QCOM. His Viking Global reported to own $464 million worth of QCOM shares at the end of 2011. Stephen Mandel, Bill Miller, and Lee Ainslie were also bullish about QCOM. QCOM completed several acquisitions over the past year. In May, it acquired Atheros Communications Inc for about $3.1 billion in cash. The acquisition will improve QCOM’s position in the tablet market and enable it to have access to the connected home market. QCOM also bought all of the technology and other assets of HaloIPT in November. These acquisitions will definitely generate stronger revenue growth in the future. We also expect strong growth in QCOM’s chipset sales as the Smartphone market is growing rapidly. In the next couple of years, we expect QCOM’s earnings to grow at 15% per year. In 2012, QCOM is expected to earn $3.38 per share. So its forward P/E ratio is about 18.7, versus about 30 for the average of its peers in the communications equipment industry. One of the main competitors of QCOM is Nokia Corp (NOK). QCOM has an advantage in intellectual property rights as NOK has to pay royalties for using certain patents of QCOM. NOK’s forward P/E ratio is 26.7, much higher than that of QCOM, and its expected grow of 6% is also lower than that of QCOM. Priceline.com Inc (PCLN): PCLN was also one of the largest positions in Coatue’s portfolio. The fund largely increased its PCLN stakes by 89% over the fourth quarter. It disclosed owning nearly $200 million worth of PCLN shares at the end of 2011. The stock was quite popular among hedge funds too. Forty-two hedge funds reported to own PCLN in their portfolios at the end of last year. For example, two other Tiger Cubs, Stephen Mandel and Chase Coleman, were the two most bullish hedge fund managers about PCLN. Mandel’s Lone Pine Capital had $686 million invested in PCLN and Coleman’s Tiger Global Management LLC had $570 million invested in this stock. PCLN has been aggressively expanding its offerings as well as geographic footprint. The acquisitions of Active Hotels and Bookings BV, companies that provide internet hotel reservation services in Europe, helped PCLN to become a leader in online hotel reservations in foreign countries. The company also acquired Agoda in 2007, which has been helping PCLN to pursue more market shares in the Asian markets. Though PCLN is best known for its “Name Your Own Price System” in US, more than half of its revenues and profits are generated from its international businesses. As a result, we think the stock is a good option for investors who want to gain some exposure to foreign markets. PCLN is expected to make about $30.08 per share in 2012 and $37.02 per share in 2013. So its forward P/E ratio is about 21, versus about 26 for the industry average. We also expect strong earnings growth of above 20% on the average in the following few years. Overall we think the stock is going to outperform the market in the next couple of years. It is currently trading at $654 per share and we think its target price should be about $780 per share. 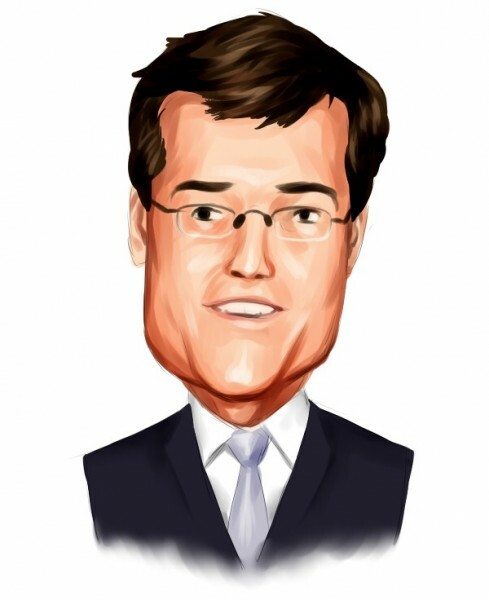 Overall we like Laffont’s stock picks but our favorite picks are Apple and Google. Large cap technology stocks have relatively low multiples and strong growth potential. Investors should consider giving a higher weight to technology stocks in their portfolios.